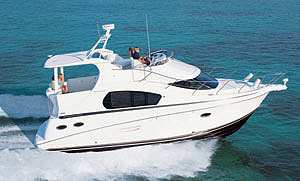 A huge flying bridge and a cushy interior set the Ovation apart from other convertibles. 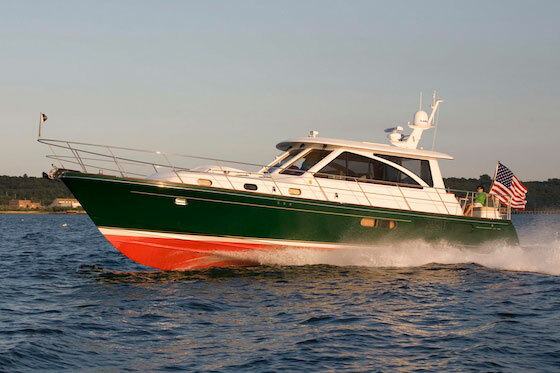 The Ovation 52, built by the Silverton Marine Corporation, is one of the few current model boats that offers a convertible design with a cruising attitude. Sure, there are plenty of half-fishing, half-cruising convertibles out there. But the Ovation is a pure cruiser, through and through. 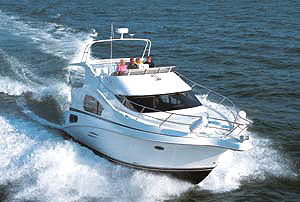 If comfort for a big family or cruising guests is more important to you than fishing, the Ovation 52 is well worth a look. 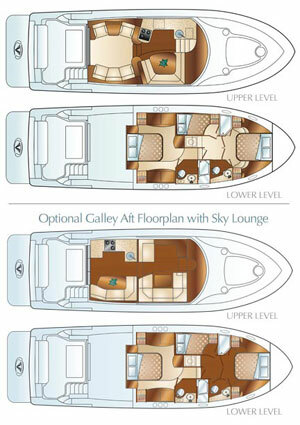 The standard layout is shown above; below is an optional layout with the galley aft and a Sky Lounge. On most convertibles, guests have to crowd into a small area to enjoy the cruise while talking to the captain. 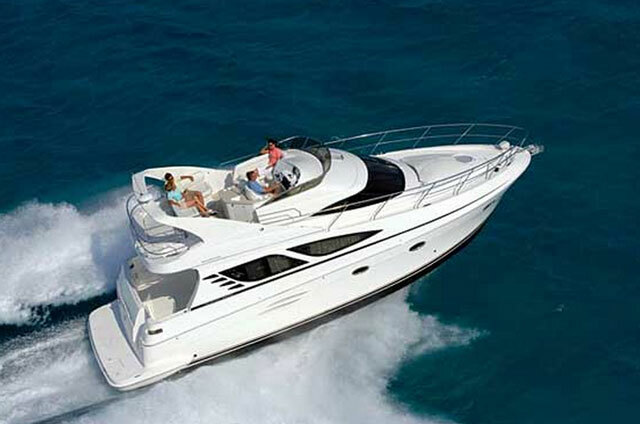 On the Ovation an extended bridge, sheltered by a massive hardtop, can accommodate up to 15 passengers in comfort. There are two side lounges, a settee, helm, and companion chairs up there, and don’t even think about going belowdecks to get a drink or prep a meal—the bridge also has a wetbar and sink, and can be optioned-out with a refrigerator, icemaker, and electric grill. Interior woodwork is cherry, and the saloon, galley, and dinette are raised to provide 360-degree views of the water via the full-sized windshield, side windows, and sliding glass cockpit doors. Step down into the three-stateroom, two-head layout, and you’ll discover cruising perks like a four-zone air-conditioning system, a Bose sound system, a central vacuum, and inner-spring mattresses. 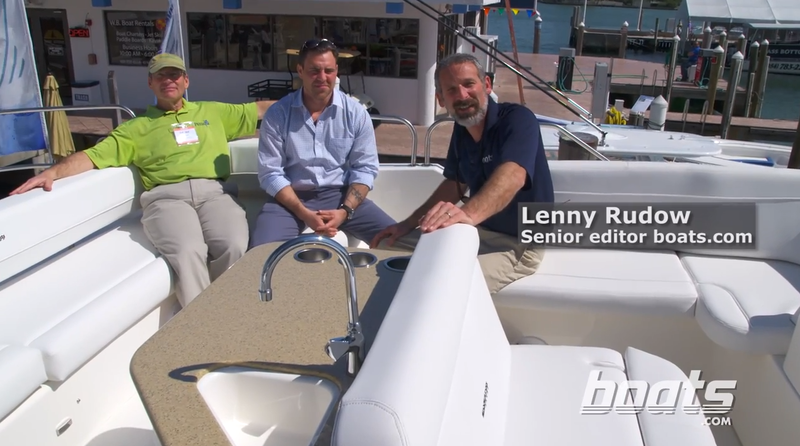 Power comes via a trio of IPS 500 Volvo pod drives, which allow you to control the boat via joystick. 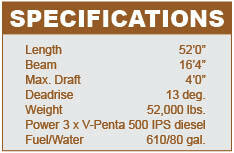 Cruising speeds run in the low 20s and top-end in the low 30s, while delivering about a half mile to the gallon. 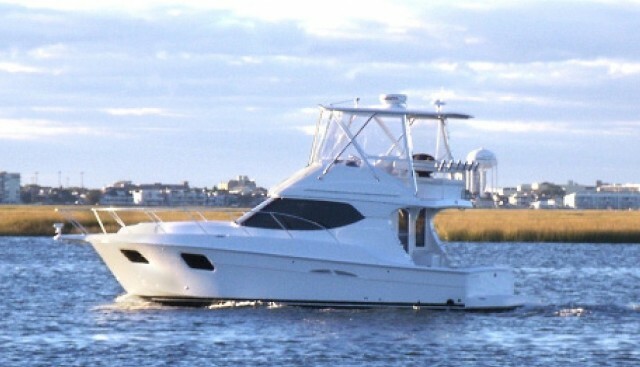 If you like the convertible design but want a boat that’s a comfy cruiser—and fishing is not on your planner—then the Ovation 52 fits the bill. 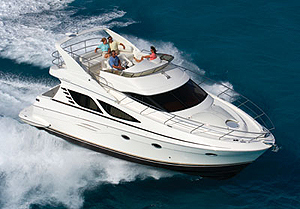 Because when it comes to cruising in comfort, this boat doesn’t do anything halfway. 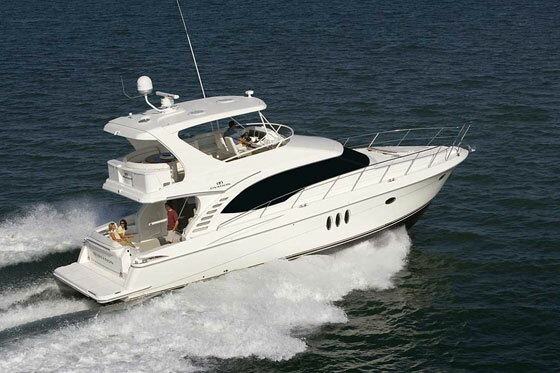 For more information, please visit Ovation Yachts.